How to fight against phishing on the Internet? You should keep private your PINS or passwords, without writing them down anywhere. 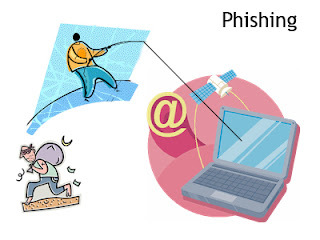 Avoid phishing passwords: do not use the same password for all your online accounts. Use common sense when reading emails. If something seems implausible or too good to be true, then it surely is. Be especially cautious of emails which come from unrecognized senders and are not personalized. And do not reply to emails where people ask you to confirm personal or financial information over the Internet and/or make urgent requests for this information. Just be logical: banks or e-commerce businesses usually personalize emails, and phishers do not. Phishers often include false but sensational messages, such as “urgent – your account details may have been used by someone else”) so as to create an immediate reaction from the person who receives such message, which is also usually full of typing mistakes or syntax error. Trustable companies do not ask their customers for passwords or account details in an email. Just follow these tips: never enter personal information in a pop-up screen. Also don’t click on links in a pop-up screen. Do not copy web addresses into your browser from pop-ups. Plus be aware that companies should never ask you to submit personal information in pop-up screens, so just don’t do it. Before submitting your bank details or any sensitive information, here are a few things to do to make sure the site uses encryption to protect your personal data: check the web address in the address bar. A website starting with “https://” (“s” for security) rather than the usual http:// is a proof that it is based on an encryption mode. Refer to the lock icon on the browser’s status bar. But consider the fact that if the website is using encryption, it doesn’t necessarily mean that the website is legitimate. Regularly log into your online accounts and check your statements. If you see any suspicious transactions, report them to your bank or credit card provider. Don’t postpone such reporting, as phishers are smart and fast. Phishing knows no boundaries, and can be written in any language. In general, they are quite poorly written or translated though, so this may be another indicator that something is wrong. The best way to prevent phishing is to reject consistently any email or news that asks you to provide confidential data. Delete these emails and call your bank to clarify any doubts. Even if you think the email may be legitimate, do not respond – contact the company by phone or by visiting their website. Be cautious when opening attachments and downloading files from emails, no matter who they originate from. If you want to be up to date with the latest malware attacks and evolutions, recommendations or advice to avoid any danger on the internet, etc … make sure to read Le VPN Blog and follow us on social media.